Jack was born in Alliance, NC. He spent his early years as a farm boy in rural NC. In 1940, at the age if eighteen, Jack decided that his future was with the Navy and he traveled to nearby Newborn, NC to enlist. The Navy turned him down----twice. The third time was a charm, however, and he reported aboard USS CONYNGHAM DD 371. Jack was aboard CONYNGHAM in Pearl Harbor when the Japanese attacked on December 7th , 1941. He remained on the CONYNGHAM throughout the war and until 1946. During that time the ship participated in nearly every major battle of the Pacific War and earned fourteen Battle Stars. CONYNGHAM proved to be a charmed ship, only one man was wounded to the degree that he was removed from the ship though she endured a collision, friendly fire, numerous air and kamikaze attacks. Jack advanced rapidly, from Fireman to Machinist Mate Chief Petty Officer in only four years. In January 1948, while serving on USS HAMILTON in Charleston, SC Jack met his future wife Julia (we know her as Judy) Robertson. They were married April 15th of that year. Daughter Shelia was born at the Charleston Naval Hospital in 1950. Fourteen months later in 1951, son Gordon joined the family in Greensboro, NC where Jack was on recruiting duty. After a sea tour on USS BASI- LONE, the Navy used Jack’s special talents by sending the silver-tongued southern boy north to Wilmington, DE for another tour of recruiting duty, this time for three years. 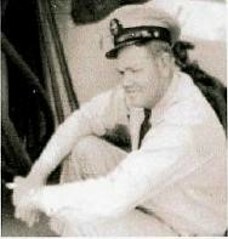 Jack reported aboard USS BON HOMME RICHARD in 1957. In 1960 Jack had a difficult decision. He had passed the Warrant Officer exam but pro-motion required two more years of active duty. 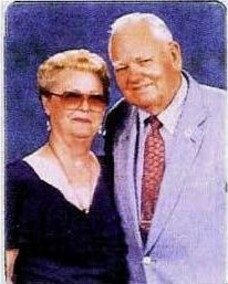 Finally, he opted for retirement at twenty years and the Dawson family headed for Tampa, FL to set down permanent roots. Initially, Jack held a full day job while going to night school to achieve his Journeyman title. He was Maintenance Manager for the five Tampa W. T. Grant stores and then spent thirteen years in the Maintenance Department of the U Save grocery chain. He retired in 1984 at the age of 62. During these years in Tampa, he was extremely active in the Little League, the Pearl Harbor Survivor’s Association and the Peninsula Christian Church. He spent seventeen years in Little League activities, long after his son had played, many times as the League President. In the Pearl Harbor Survivors he held many offices and served as president on two separate occasions. A long time elder in the church, he became an Elder Emeritus in his later years. In 1987 Jack realized a long time ambition by organizing the first reunion of shipmates that had served on USS CONYNGHAM DD 371 during World War II. The reunion	was a success and it was decided that a reunion be held every year. The group was expanded to include all who served on DD 371. In 1996 the men of DD 371 invited shipmates that had served on USS CONYNGHAM DDG 17 to join with them in a combined USS CONYNGHAM ASSOCIATION. Jack Dawson was the creator of this organization and served as it’s President for twelve years until ill health caused him to decline further election and to nominate his successor. Jack continued to serve on the Executive Committee as President Emeritus until his death. We sorely miss his strong leadership, his wise counsel, his warm humor and his loving friendship.